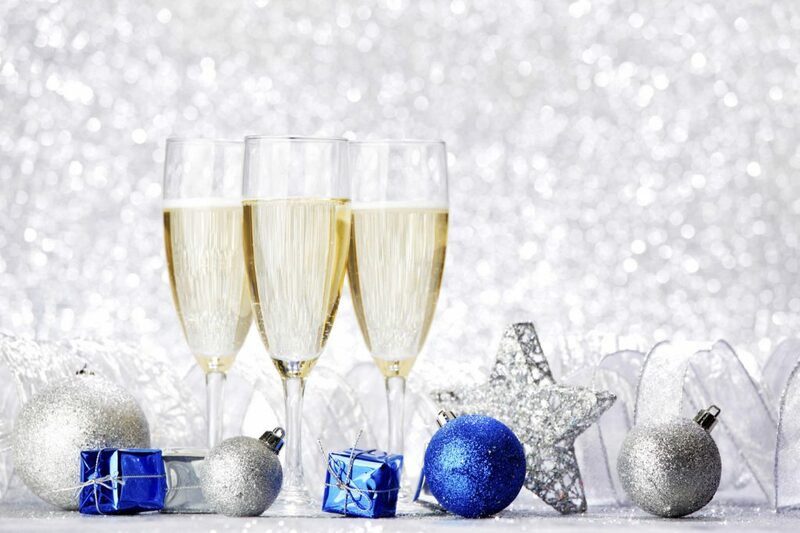 ‘Tis the season for family, food and sparkling wine. Every year I feature my favourite bottle of bubbly before New Year’s Eve. 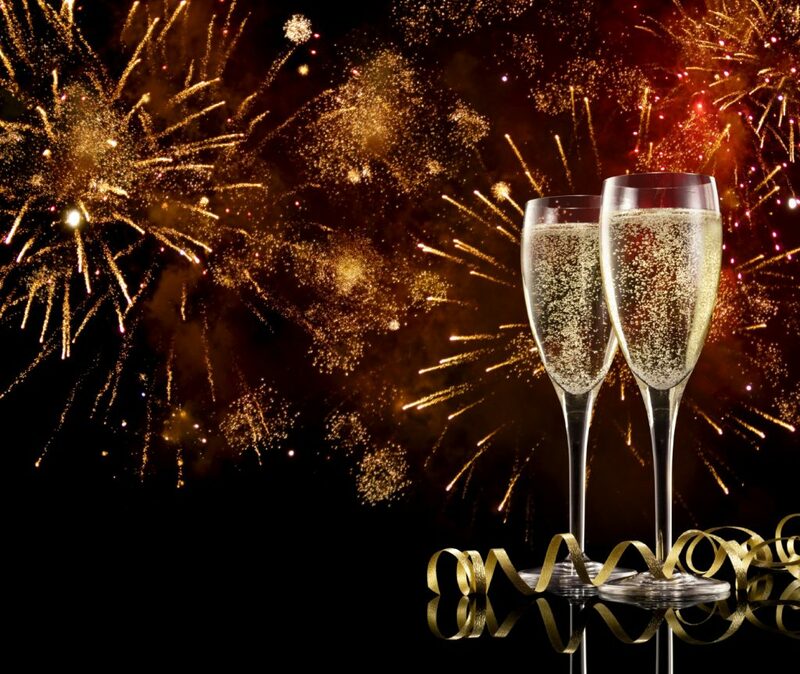 This year, I decided to write about my top 5 picks to make sure everyone can ring in the new year with bubbles. To help you navigate the intimidating selection, all you need to know is the basics. Mostly you need to be able to navigate whether a bottle is traditional method or tank method and the level of dosage (sweetness added to the wine by concentrated grape juice). This is the “traditional” way of producing sparkling wine. The process can be complicated, but the most important part is that the wine is fermented two times with the final time occurring within a closed, single bottle. This allows the carbonation to happen naturally and the lees (dead yeasts from the fermentation) remain in the bottle as they die off. These lees are responsible for imparting specific flavour characteristics into the wine. These aromas and flavours are usually described as toast, pastry, bruised apple and spice. Although there a few other ways of making sparkling wine (such as injecting CO2 or stopping fermentation to make a sweet wine such as Moscato d’Asti), tank method is the second most important method to know. This is when the wine is fermented in a large, pressurized stainless steel tank. The winemaker may choose to allow the dead yeasts that fall to the bottom to remain in the tank for some time to impart those previously discussed flavours, but with being in such a large tank, the flavours would not be imparted quite in the same way. Most often, the lees are removed and the sparkling wine is produced extremely fresh and clean with notes of citrus, fresh apple and flower. This is extremely important as the labels can be a bit tricky. You know whether you prefer dry or sweet wines and this can make or break your experience. There are a few general labelling and style terms you can follow. Brut is referring to the level of dosage. A brut will be fairly dry, but balanced with the sugar added whereas Brut Nature, Brut Zero, Zero or Pas Dos will have no sugar added to the wine after the final fermentation. This wine will be extremely dry. 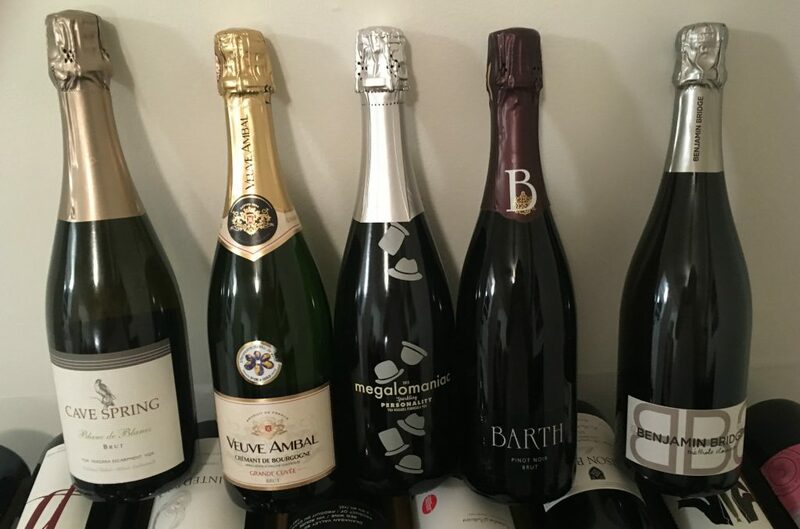 D’Asti, Secco, Sweet or Semi-Dry are all sweeter styles. Cava is almost always bone dry and traditional method. 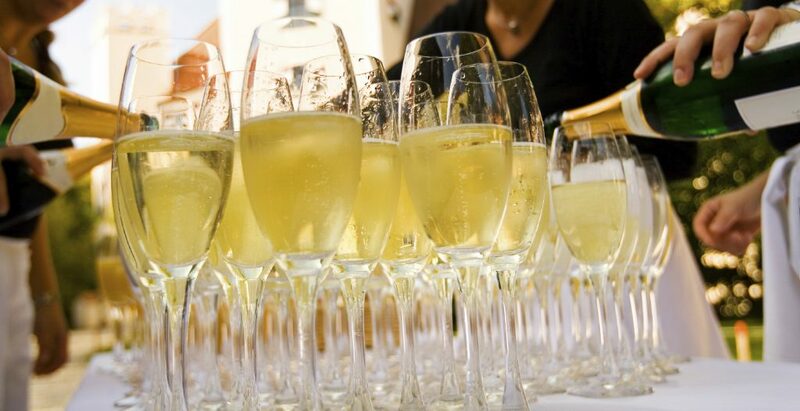 Champagne can vary, but is usually brut dry unless otherwise stated. Moscato D’Asti is always low alcohol and sweet. Prosecco is usually dry and always produced by tank method. Franciacorta is very similar to Champagne. Traditional method and dry. Sekt is German sparkling, but this title is far too broad for a general rule. You can have tank Sekt that is very sweet or very dry or you can have seriously aged traditional method Sekt. You have to research each bottle carefully. New world sparkling from California or Canada will usually specify which grapes they’ve used, the sweetness/dosage levels and whether or not the wine was made traditionally or with tank method. 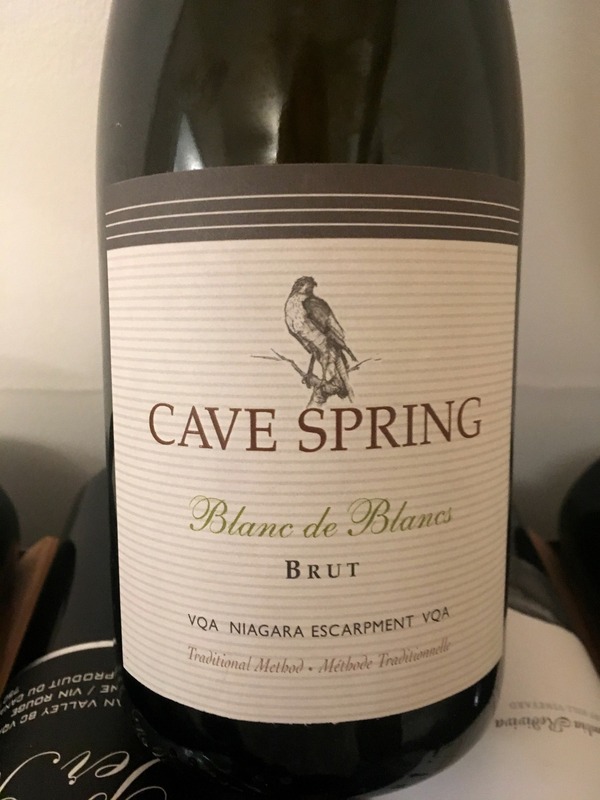 Cave Springs is one of my favourite Niagara producers. This winery consistently delivers on quality and value. Both the rieslings and the sparkling wines are my favourite. This Blanc de Blancs Brut is produced in the traditional method from 100% Chardonnay grapes. This wine has fine, persistent bubbles with an aroma of fresh lemon citrus and baked apple. On the palate, white blossom, sweet spice and ripe apple. The finish is fresh and clean, but lingers on as the bubbles cleanse the palate. Only $29.95 available at the winery and at the LCBO. This is an incredible price for such an elegant bottle of bubbly. 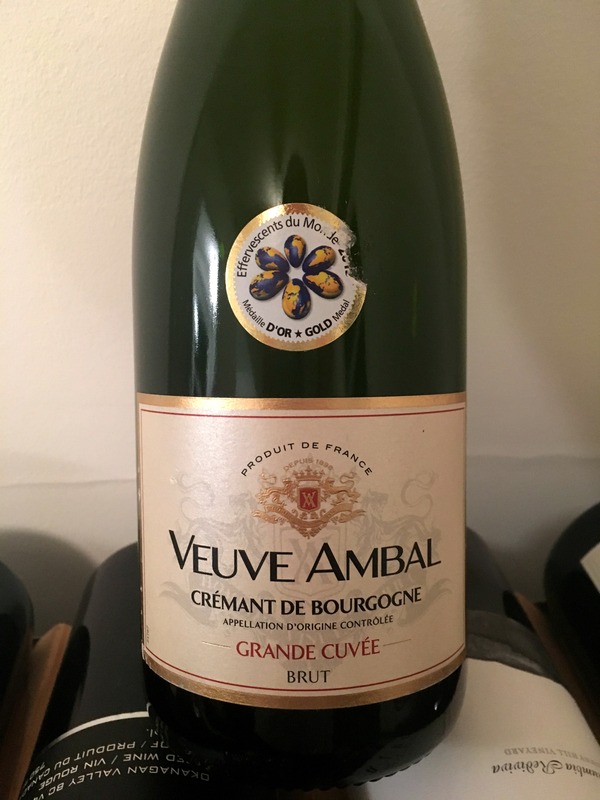 Crémant was created for regions outside of Champagne (if a wine is not produced in the region of Champagne, France it cannot legally be called Champagne) could be recognized for quality sparkling wines. Crémant de Bourgogne is a sparkling wine produced from Burgundy. Chardonnay and Pinot Noir are usually used and the wine is made in in the traditional method. This wine is a great selection for only $19.95 at the LCBO. The nose is mostly stone fruit with green apple and white peach, while the palate is fresh and vibrant with persistent bubbles. The wine is very floral on the finish with peach blossom and spiced apple. In Niagara, it is no secret that we grow incredible Riesling grapes. 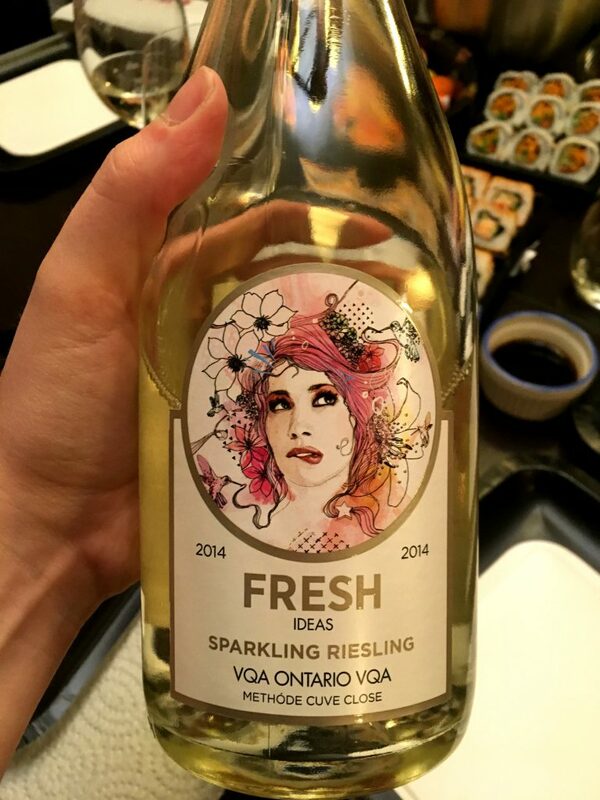 FRESH wines, a project by Diamond Estates, is produced here in Ontario. These wines hit the market with fun labels, fruity, easy drinking wines at an affordable price. The FRESH series is meant to be drunk with friends any night of the week. The bottle is quite beautiful as everyone at the table will notice it. Riesling gives the wine a fresh lime and vibrant crisp green apple nose. The palate is clean and the bubbles are assertive and fresh (I suppose the name really suits the wine). Pink flowers, ripe fruit and citrus follow to the palate with a short, reFRESHing finish. This wine is produced by tank method in stainless steel with a touch of sugar to balance the racy acidity. The best part? This wine is at the LCBO for only $15.95. Pair with friends and a table full of snacks. Pink bubbles are a must for the list of course. 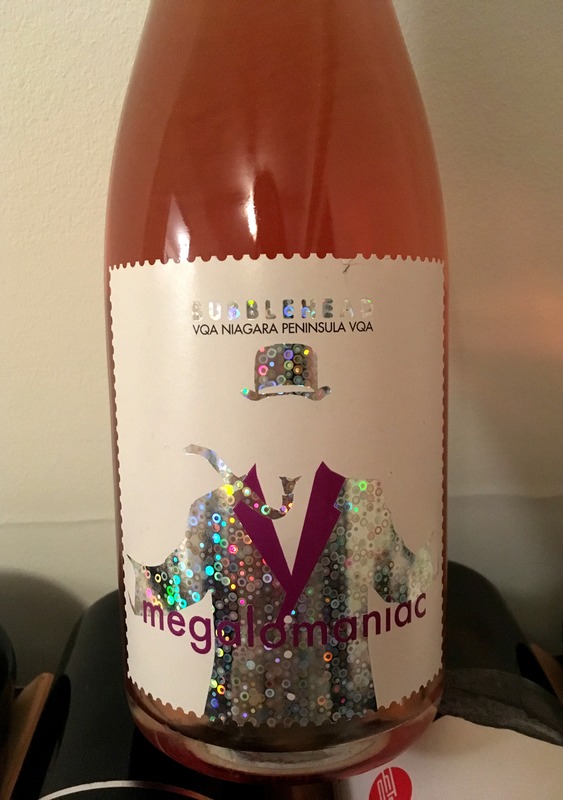 This bubbly is from the Niagara winery Megalomaniac known for their cheeky names and funky wine labels. This wine is made in the traditional method from estate grown Pinot Noir. The wine is pink from Pinot Noir skin maceration. On the nose, this wine has notes of cranberry, cherry and lily. The bubbles are fine and elegant with a palate of red berries, sweet pastry and flower. The wine smells and tastes quite beautiful while the finish lingers on. This wine was very well made. Currently listed at the LCBO for $29.95, which is an absolute steal. 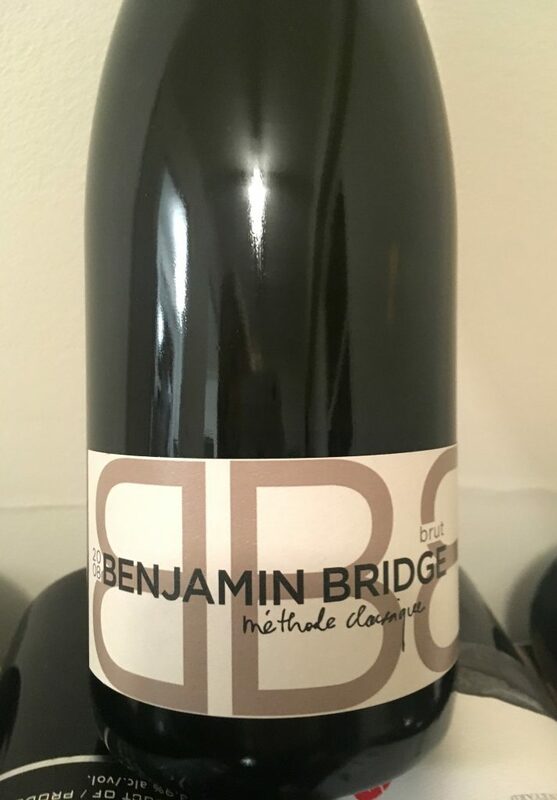 Benjamin Bridge is a really cool winery in Nova Scotia, Canada. That’s right, our very own East Coast. If you didn’t know they are growing wine grapes there, you will certainly remember it after you taste these bubbles. I happened upon BB while spending time in Newfoundland. I was dining at Raymonds when I ordered a bottle of the 2008 Brut Reserve. This wine actually blew me out of the Atlantic water. So much depth and elegance. This is the basic brut, which is still pretty remarkable. Produced from 100% Chardonnay and with 4 years of lees ageing (the dead yeasts in the bottle). This wine is toasty and full-bodied much like a fine Champagne would be. Autolytic on the nose with sweet brioche, white blossom and vanilla toast. The palate is consistent with bruised apple and pastry. The bubbles are fine and elegant and the wine finishes long and crisp with shocking acidity. This wine is finally available at the LCBO for $49.00 a bottle. It is worth every darn penny. For something sweet, the 2014 BB Nova 7 Sparkling was also released in the LCBO for only $24.95. 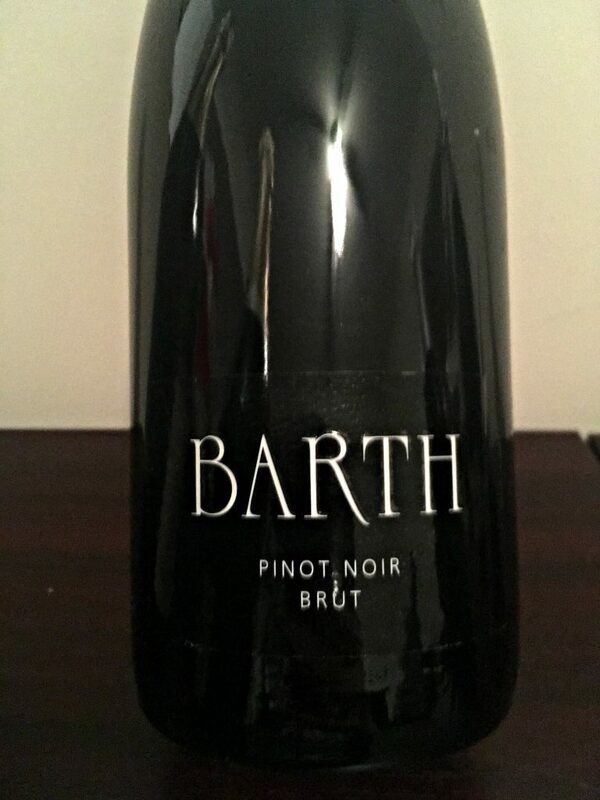 Also in the image of sparkling selections, Barth Pinot Noir Brut. This wine is a traditional method Sekt from Rheingau, Germany. This is a dry, red sparkling wine unlike any other. Yes, that’s right… not white, not rosé, but red sparkling wine. Hand-riddled, full bodied and elegant. It is certainly worthy of a top 5 pick, but at this current time this wine is not imported into Canada making it unavailable for purchase. 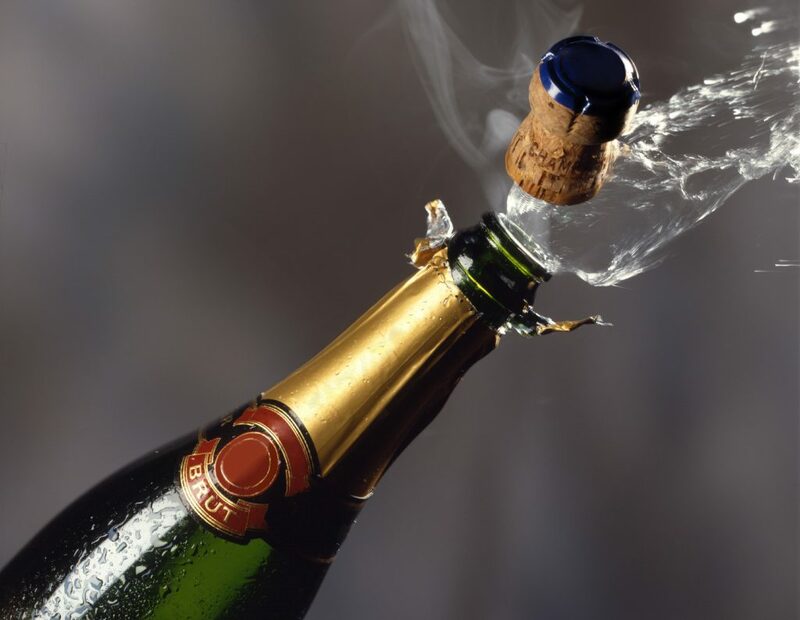 Pop a bottle and celebrate another year! 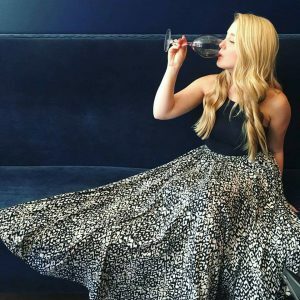 Educated through the Wine & Spirit Education Trust, Melissa Pulvermacher is a Wine Writer and Personal Sommelier for her business, Pulvino Wine. Melissa also works with a local wine agency as Import and Logistics Manager and teaches WSET courses at The University of Guelph. Inspired by the complex world of food and wine, Melissa considers herself forever in pursuit of something new to learn and experience.